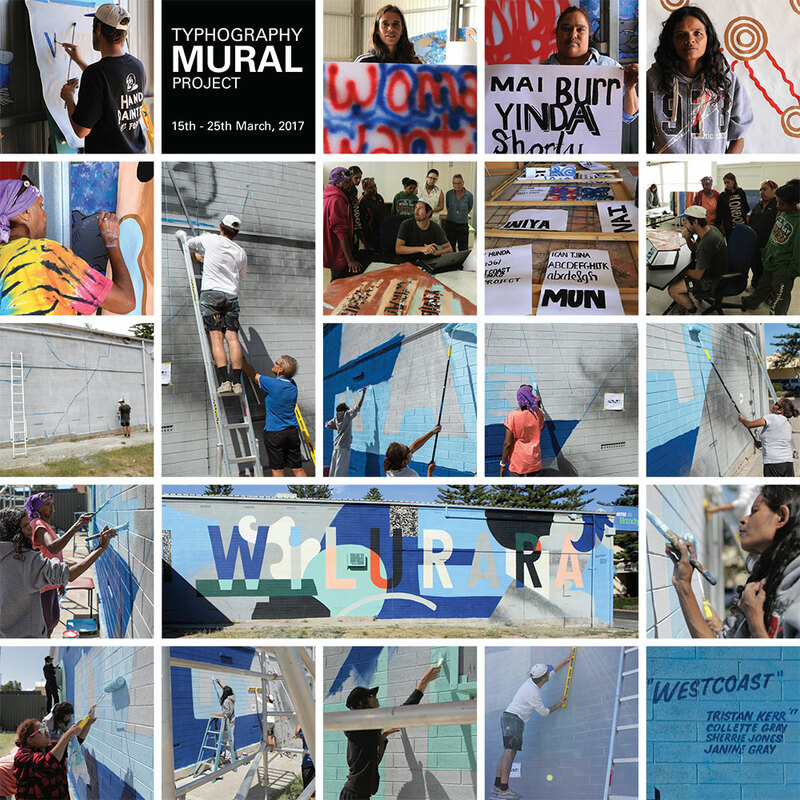 This multi-phase project with master artists David Wilson (new media) and Tristan Kerr (Typography, visual arts) seeks to render audible the voices of Indigenous artists, displaying their artistic work, personal and group narratives that underpin their identity processes through mural making and film. 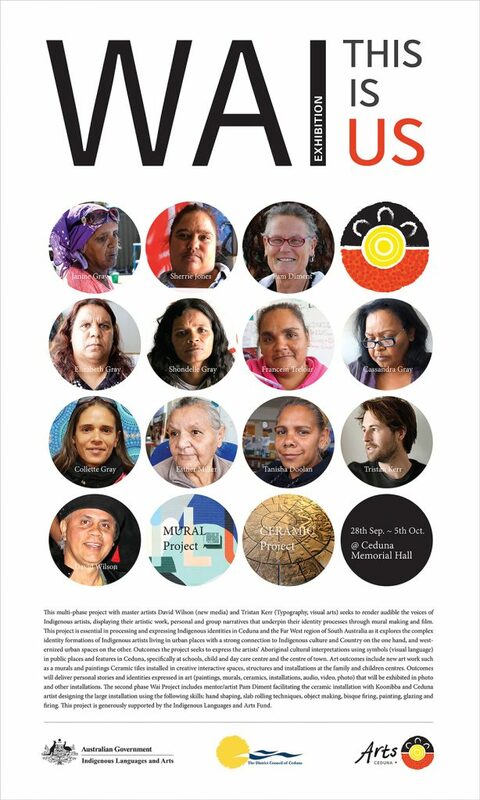 This project is essential in processing and expressing Indigenous identities in Ceduna and the Far West region of South Australia as it explores the complex identity formations of Indigenous artists living in urban places with a strong connection to Indigenous culture and Country on the one hand, and westernized urban spaces on the other. Outcomes the project seeks to express the artists’ Aboriginal cultural interpretations using symbols (visual language) in public places and features in Ceduna, specifically at schools, child and day care centre and the centre of town. Art outcomes include new art work such as a murals and paintings Ceramic tiles installed in creative interactive spaces, structures and installations at the family and children centres. 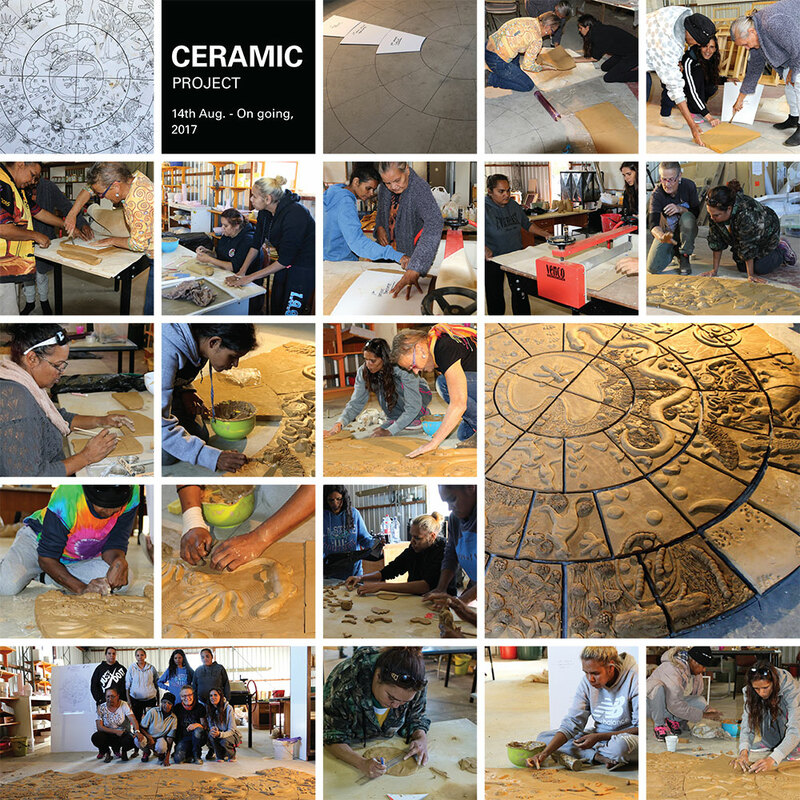 Outcomes will deliver personal stories and identities expressed in art (paintings, murals, ceramics, installations, audio, video, photo) that will be exhibited in photo and other installations. The second phase Wai Project includes mentor/artist Pam Diment facilitating the ceramic installation with Koonibba and Ceduna artist designing the large installation using the following skills: hand shaping, slab rolling techniques, object making, bisque firing, painting, glazing and firing. This project is generously supported by the Indigenous Languages and Arts Fund.